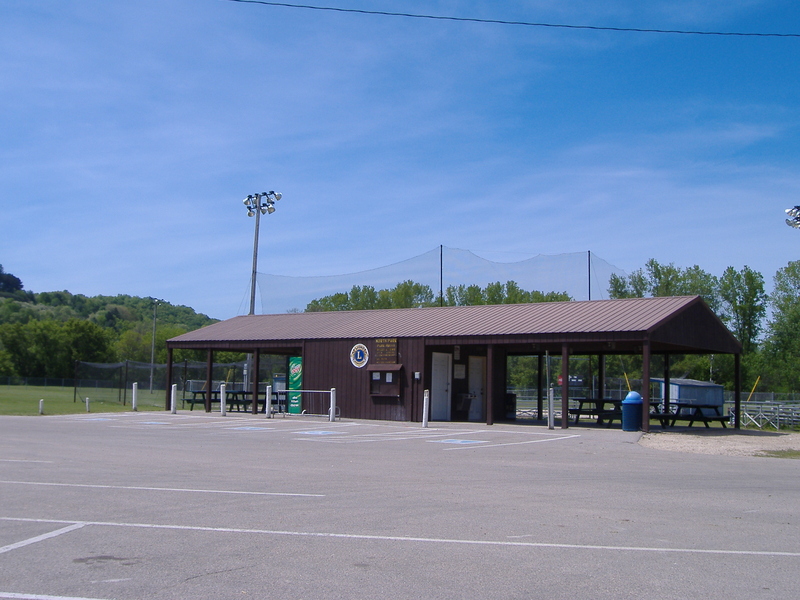 The Richland Center Parks and Grounds Department maintains and operates 12 Shelters located at various locations in the parks that are surrounded by other recreational facilities, such as Playgrounds, Basketball courts, Volleyball courts, Soccer fields, Outdoor pool and much more. 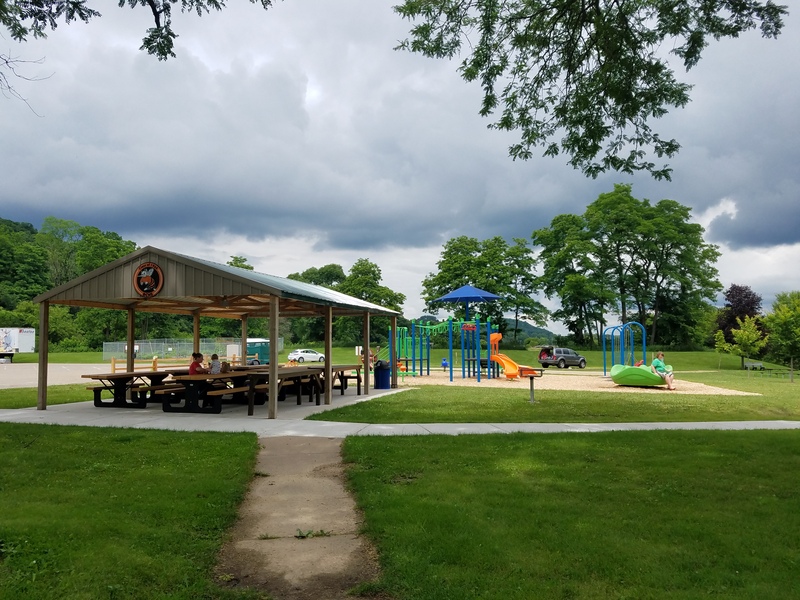 Each shelter comes with a number of picnic tables that are perfect for hosting family gatherings as well as other social events. Located close to these shelters are well maintained public amenities such as restrooms, garbage cans and drinking fountains . 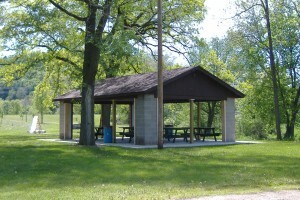 (see the Park Shelter Brochure above for a comprehensive map of shelter locations). Application forms are available at the Richland Center Community & Senior Center or downloadable at the link above. Forms must be completed and signed by the applicant, accompanied by the correct fee for the request for a park facility reservation. Office hours are Monday—Friday, 8:00 am-5:00 pm. Shelters are available to rent between April 15 and October 15th. 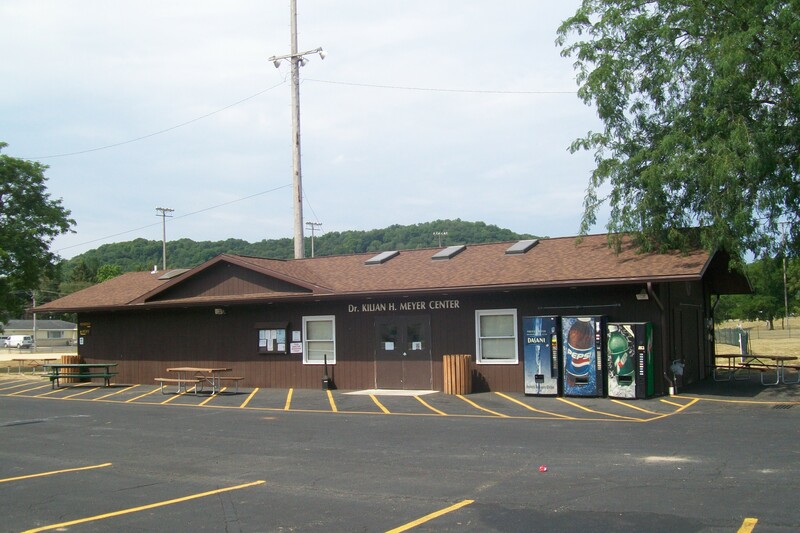 The Dr. Meyer shelter has enclosed restroom & kitchen facilities, and is equipped to hold many events including baby/wedding showers, graduation parties, family reunions, etc. It is NOT air conditioned. The shelter doubles as a warming house in the winter for the outdoor ice rink. 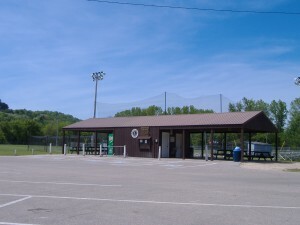 It is located at the midpoint of the softball fields and the Community & Senior Center. The shelter accommodates 65-75 people. Shelter rental is $75.00 per day. The E. Keepers shelter has attached restroom facilities and is equipped with electric and water. It is located in the playground area on the corner of 8th Street and Hwy 80 North. The shelter accommodates 80-110 people. Shelter rental is $60.00 per day. The Earl Anderson shelter is located in the same playground area as E. Keepers, so there is access to enclosed restrooms. It is equipped with electric & water. The shelter holds 65-75 people. Shelter rental is $50.00 per day. The Charles Lawrence shelter is equipped with electric & water, and there are port-a-potties available. 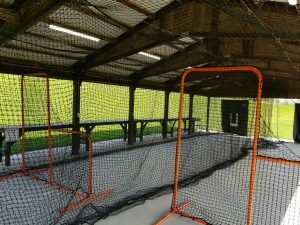 It is next to a basketball court, tennis courts, horseshoe pits, volleyball courts, RV/primitive campsites, gazebos and a playground. 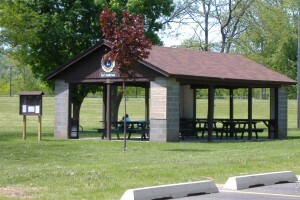 The shelter is located in the parking lot at the end of Jefferson Street. You can access North Park by crossing the footbridge and there is a canoe port under the bridge to access the Pine River. This shelter can accommodate 75-100 people. Shelter rental is $50.00 per day. The Robert Retrum shelter is equipped with electric and water, and there are port-a-potties available. 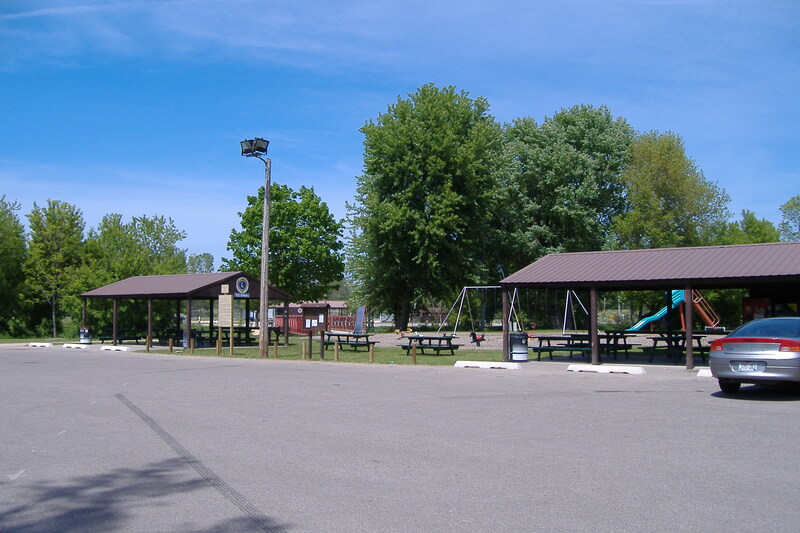 It is next to a basketball court, tennis courts, horseshoe pits, volleyball courts, RV/primitive campsites, gazebos and a playground. 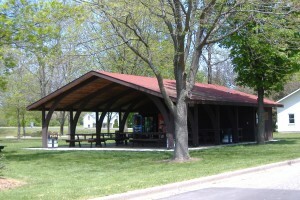 The shelter is located at the end of Jefferson Street. You can access North Park by crossing the footbridge and there is a canoe port under the bridge to access the Pine River. This shelter holds 75-100 people. Shelter rental is $50.00 per day. 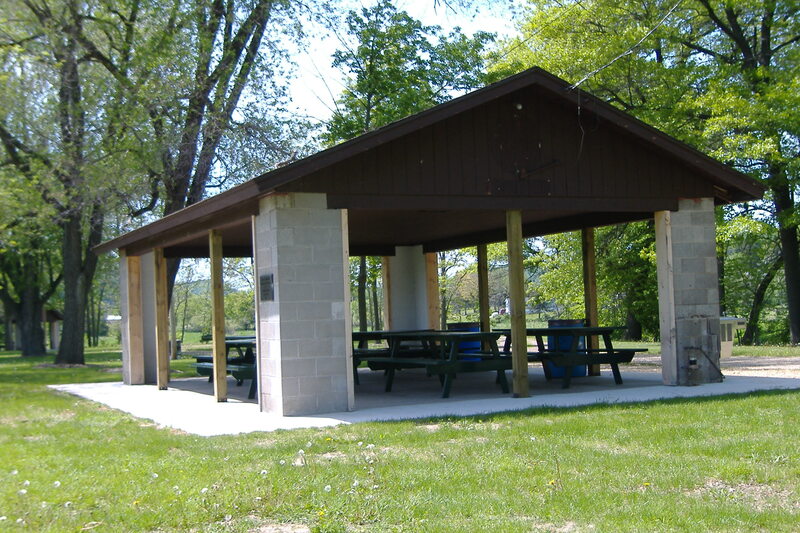 Both shelters can accommodate 150-200 people & can be rented together for $90.00 per day. The B.I. Pippin Shelter is equipped with electric and water. The shelter is located on the west side of Krouskop Park and accommodates 65-75 people. 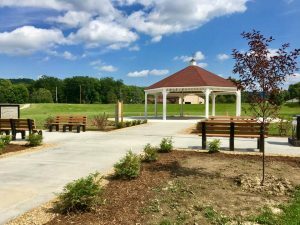 The shelter is nestled in a playground next to a soccer field and frisbee golf course, and runs along the Rotary Lights route. Shelter rental is $50.00 per day. The Glenn Ferguson shelter is equipped with electric and water. 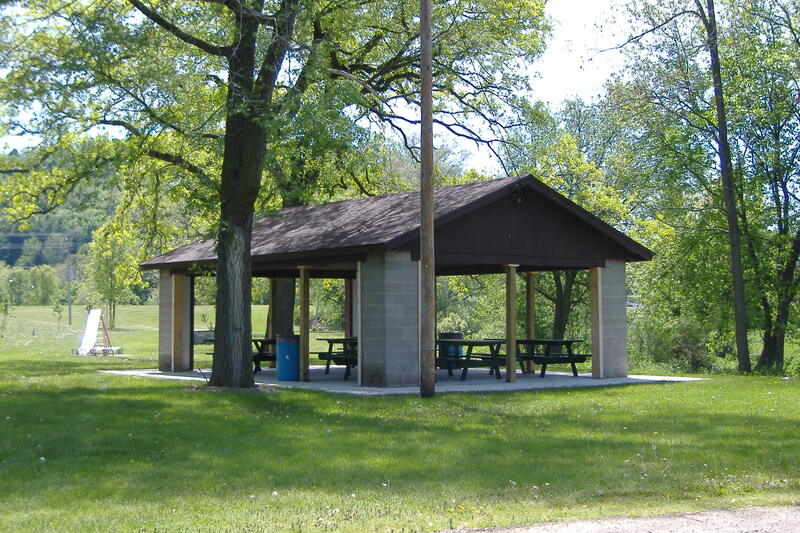 The shelter is located on the west side of Krouskop Park and accommodates 65-75 people. 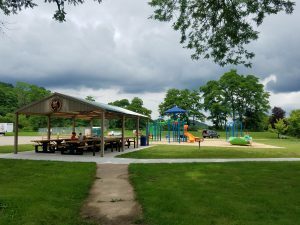 The shelter is nestled in a playground next to a soccer field and frisbee golf course, and runs along the Rotary Lights route. Shelter rental is $50.00 per day. 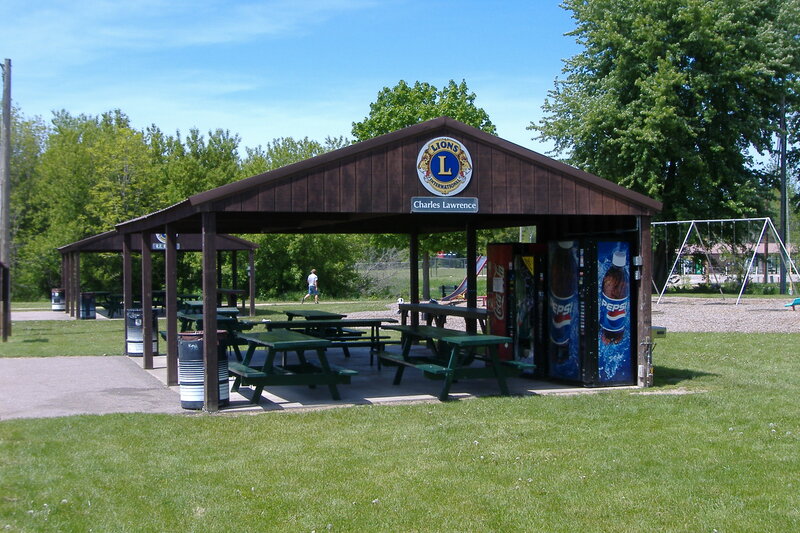 The Lions – North Park shelter is located in North Park and has enclosed concession facilities, and is nestled between two playing fields. The shelter holds 65-75 people. Shelter rental is $50.00 per day plus $25.00 if you want to rent the concession stand. The Justin Williams shelter is located in North Park and is equipped with electric and water, and there are port-a-potties available. It is next to softball & soccer fields. This shelter has been revamped to be equipped with batting cages. The shelter is located in North Park closest to Highway 80. You can access Krouskop Park by crossing the footbridge and there is a canoe port under the bridge to access the Pine River. At that time, this shelter will no longer be available to rent for gatherings. 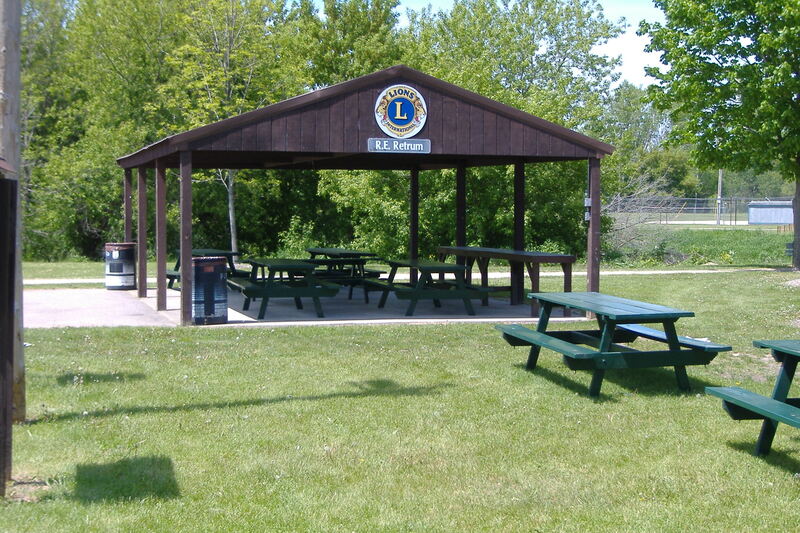 The Don Klingaman shelter is located at the North Park Pond and is equipped with electric & water, and there are port-a-potties available. It is next to the fishing pond. The shelter is located in the parking lot at the corner of Eldon Storer Drive and Hwy 80. This shelter can accommodate 75-100 people. Shelter rental is $50.00 per day. 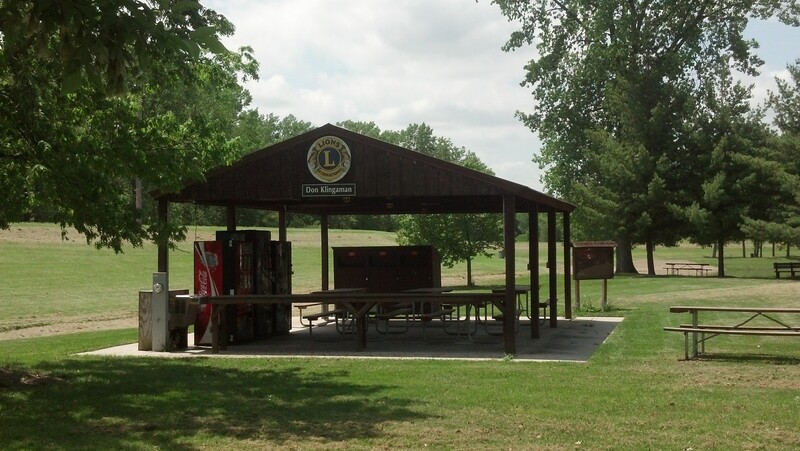 The Carl Chellevold shelter is located at Lions Park, just off Highway 80, near Industrial Park Road. There is a sand volleyball court and a port-a-potty available. It borders the Pine River and has a canoe port, number two of five, if starting at Bowen’s Mill. There are two RV (electric only) campsites as well as primitive sites. The shelter is equipped with electric, but does not have water. This shelter accommodates 60 – 75 people. Shelter rental is $50.00 per day. The RCHS Class of ’68 shelter is located at Old Mill Pond Park, 600 W. Seminary Street. 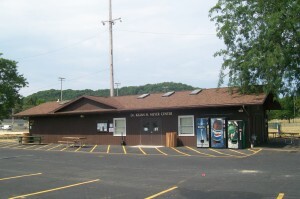 It stands in place of the original Community Center. It borders the Pine River and has a fantastic canoe/kayak launch port, number four of five, if starting at Bowen’s Mill. The launch port has a new, all-accessible sidewalk! There are five RV (electric/water) campsites as well as primitive sites, and a Port-a-Potty. 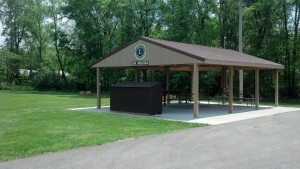 The shelter is equipped with a concrete base, benches, electric, and water. Future plans include playground equipment. The Mill Pond Community Garden is also in this park area. There is access to paved and river trails from this spot and ample parking. This shelter will accommodate 40 – 50 people. Shelter rental is $60.00 per day. This was a community collaboration to build a Living Memorial to honor our Veterans and their sacrifice. 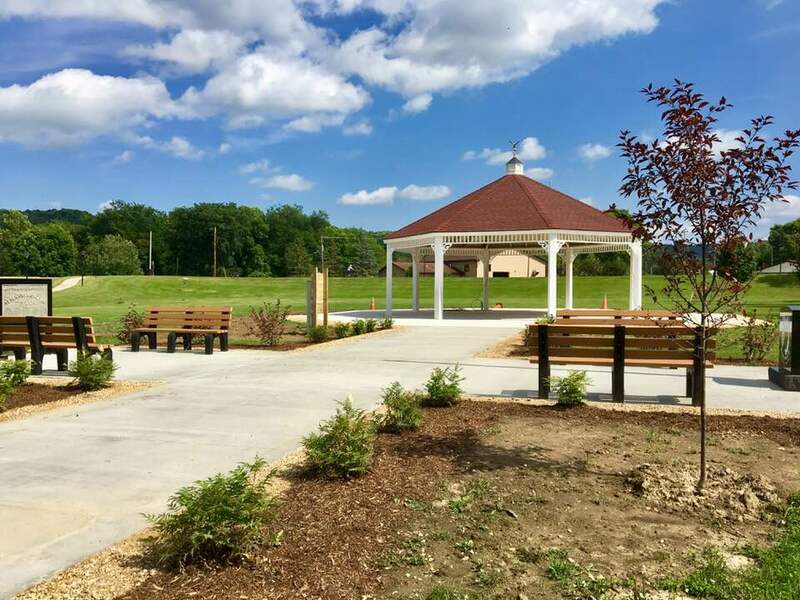 Sparked by a dream of Paul McManaway, enriching our community by building a gathering place/performance venue in a park setting where families could come to be entertained by their neighbors as they enjoyed a picnic lunch in the park. The original design presented has grown into the beautiful memorial you now see in the park. The shelter is equipped with electric, but does not have water. 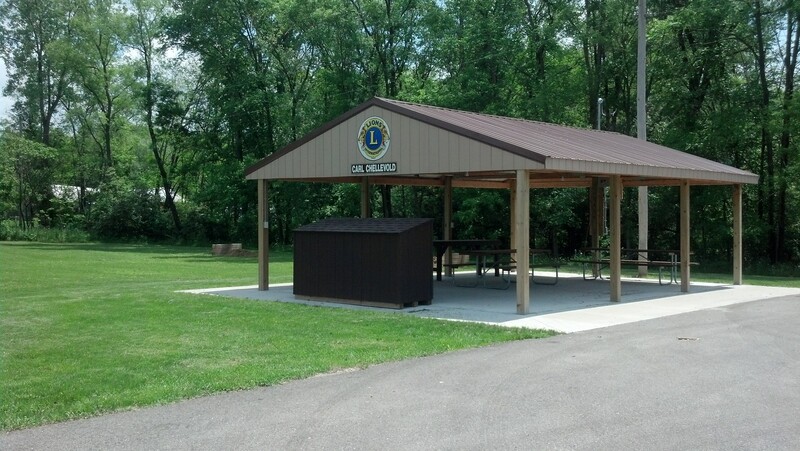 This shelter accommodates 50 people and is accessible to all. Shelter rental is $50.00 per day.